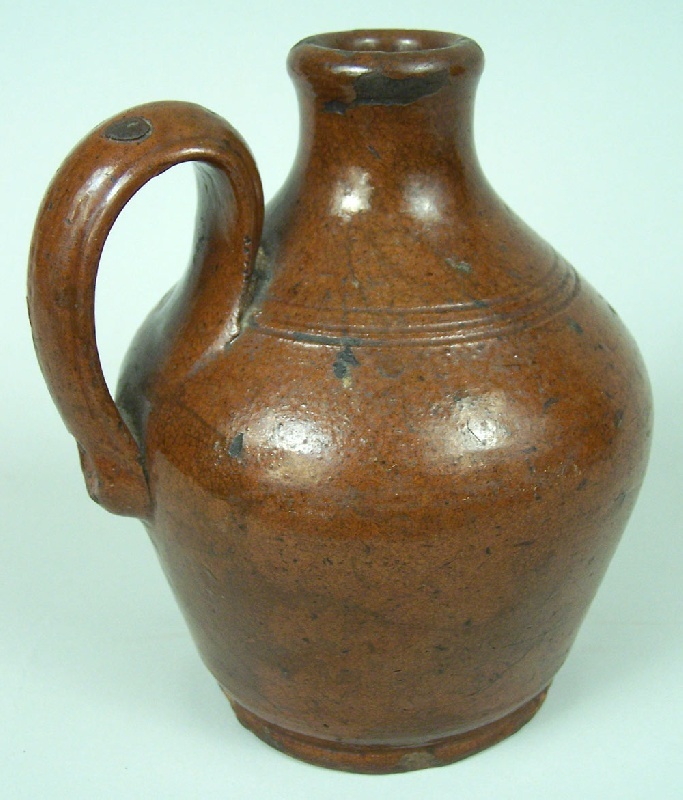 Southern redware jug, Moravian, found in the Fort Chiswell, Virginia area (Wythe County) in the early 1970s. The distinctive extruded handle with beaded edge is similar to other extruded handles by Rudolph Christ of Salem, North Carolina. 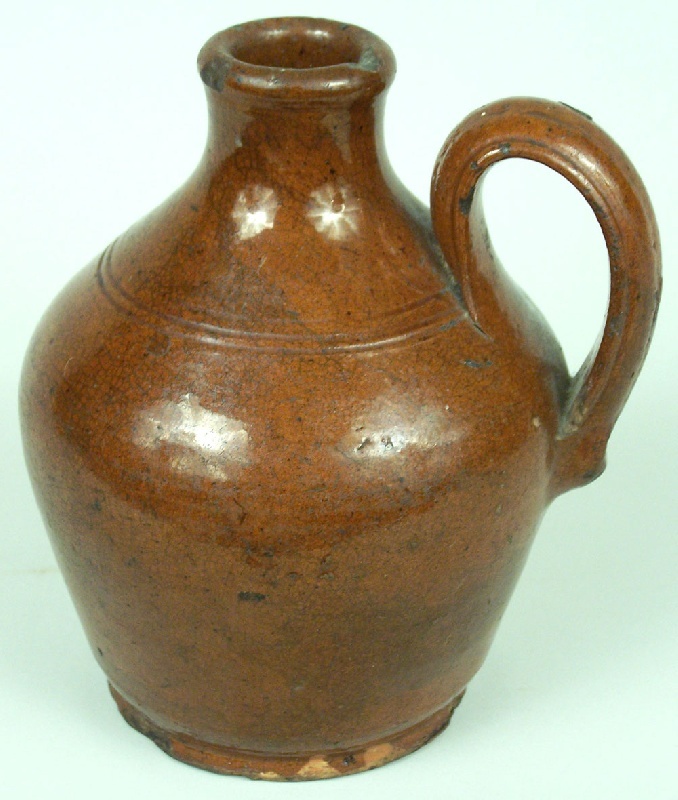 The rim and spout also follows Moravian forms from the Salem area. 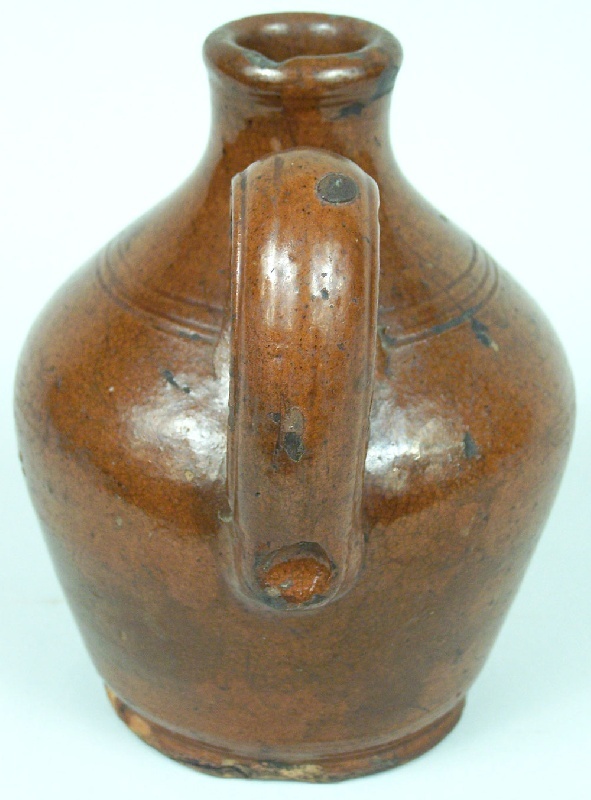 Three incised lines around upper shoulder, thumbprint at handle terminus, beaded base, worn, unglazed bottom. A mouse skeleton is inside the jug. Condition – overall very good condition. 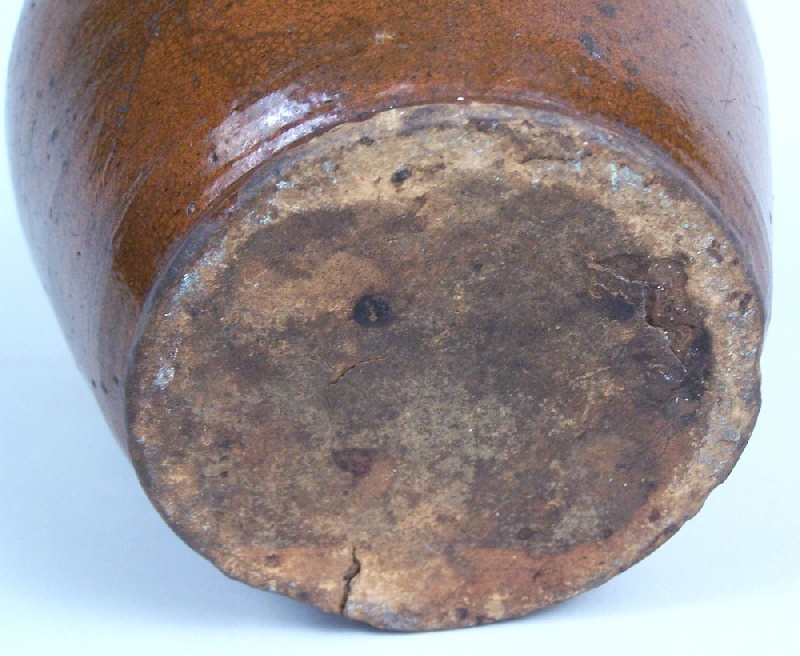 Expected wear with age, old, shallow chips to spout, minor chips to beaded base. 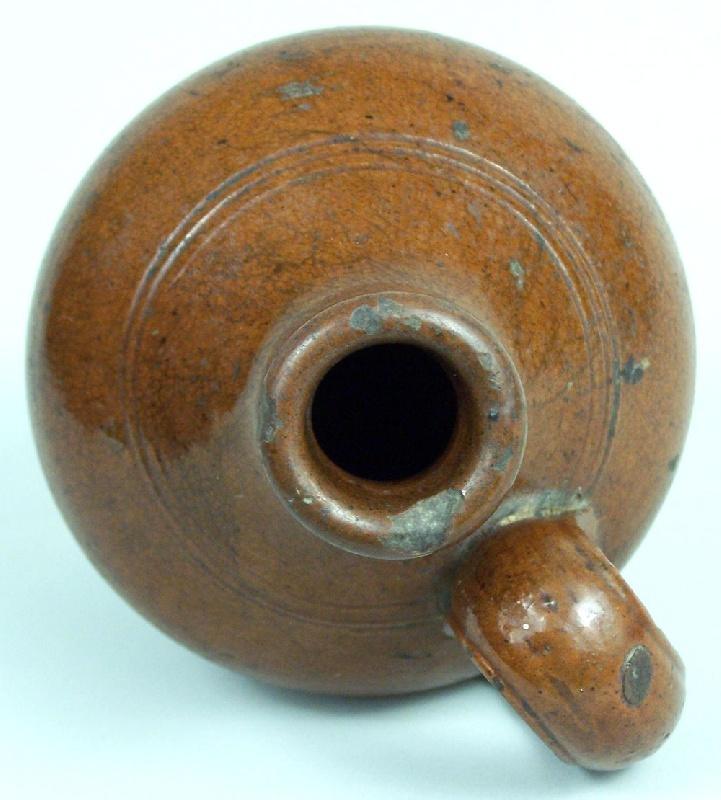 5 5/8″ height (ref42). 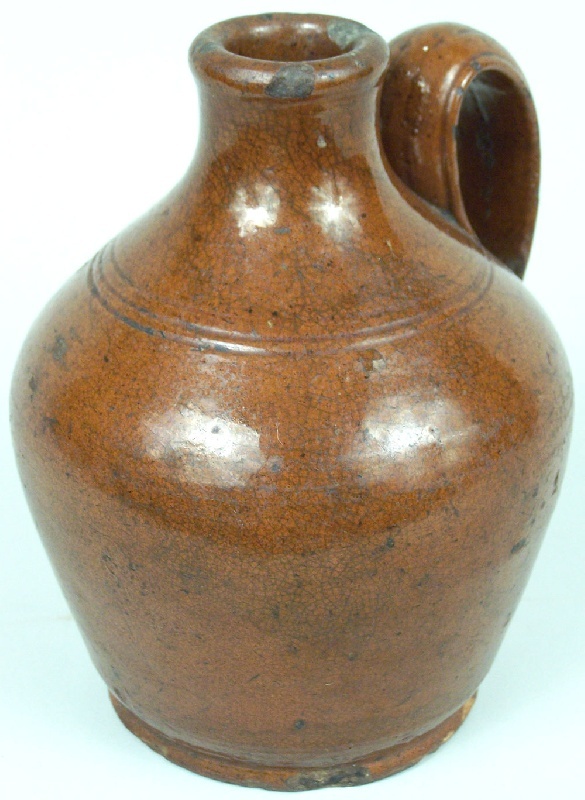 Late 18th/early 19th century.